So I got TONS of questions and all that good stuff blowing up my inbox after I posted about the essential oils I’ve been using recently. If you wrote me and we didn’t connect, PLEASE do it again, I was SLAMMED. There were quite a few logistical questions about how to use the Young Living Essential Oils. After writing lengthy emails a few times, I decided to just make a little video demonstration the 3 ways that I use them. During this video, you’ll enjoy the fact that I can’t think of the word “dilute,” I lose half of the capsule to make and take a lemon pill, my kids run in circles around me and try to make me scream at them on camera. Additionally, you’ll enjoy the fact that I’m a GIANT dork. It’s a good time, even if you think these oils are a bunch of malarky. I know this sounds like I’ve totally joined a cult or something, but I swear to you, I am just so happy with this unexpected change in my life. I just didn’t see this coming. I didn’t even want to become a member because I was so unsure of how well these were going to work. Once I got my first set of oils, though, it was on! I wish I had the money to buy every. single. last. one of those oils. I swear to you, that’s the truth. Personally, I was violently shoved into becoming a distributor once my friends started trying them after me and wanted to sign up for the everyday oils kit. I’m so glad I did because I’ve met an amazing “team” of people (The Lemon Droppers) that do this whole business a little differently than I have ever seen or experienced (also I get my oils paid for, which my husband thinks is the best part of the deal, but that’s a different story…which I’m willing to tell if you want to hear it). I believe this is a total God thing (exclamation moment, if you will). I believe this is going to play a significant role in how we medicate and how we live from now until it’s my time. However, becoming a YL member doesn’t mean you have to make silly videos like mine or that you have to decide to talk about them during every conversation (seriously, it’s like a sickness. i told the chick that was matching my skin to some new makeup the other day about them and I realized I had a problem). You can just do this all alone and not tell a soul. That’s all you. Whatever floats your boat (I’ll just bet you talk about them). You guys, I swear to you, I’m not saying all of this to make a dime. I wish you could feel my heart when I tell you that I know this will help you if you’re hurting (physical, mental, etc). I’ve seen them help my friend that was suffering and I’ve seen it in my own life. If you know me, you know that I don’t like to see my friends take meds. These are actually good for you. Each one serves multiple purposes in your body and will make you feel better. I don’t think a fix for a migraine is a good tradeoff for bad liver or stomach bleeding, but I get it because I took 5 advil at a time just to get rid of the dang headache quick. Ain’t nobody got time for that! It just DOES NOT have to be that way. I wish I had known before 2 months ago. Now it’s all I can talk about…obviously. If you would like to purchase Young Living Essential Oils, you need to order through a member. You can become a memeber and get the oils at 24% off yourself plus access to the a group called “A Drop a Day,” which is a facebook group where we talk about oils. This is a place not put out by Young Living, it’s exclusive to our “team” of members. This is simply a place where people that sign up to become members can communicate with one another, share what is working for them, ask questions and hopefully build life long relationships with others who are on this journey to a more healthy and natural lifestyle. I have spent countless hours looking things up online and researching what oils are good for what. Hopefully this group will help cut your searching time down and get your questions answered quickly. Once you become a member, you will be given access into the message board (it may take 24 hours to gain access). Once you buy your starter kit (which I’ll explain those later), you are NEVER required to order a certain amount each month. You are NEVER required to tell others about Young Living. You are NEVER bothered by people to work this as a business (if you are, you email me ASAP because Homie don’t play that). You simply are now able to purchase at the discounted price. Think of this like a SAMS Club or COSTCO membership. You pay a small charge to become a member to get cheaper prices. The only thing different is SAMS or COSTCO give you a card…Young Living gives you starter oils and a coupon for a diffuser. 2. Here you will start to fill out the info. Make sure you leave the “member” button clicked so that you can get your discount and make sure that the SPONSOR ID and ENROLLER ID boxes say 1403816. 3. Fill out all your info and select the kit (the most versatile is the Start Living with Everyday Oils, I believe). 4. It DOES ask for your SS#…Why? Well, because you do have the capability now to turn this into a business ONLY if you desire to. They are required to get that to pay you. You never know…your friends may want to order from you one day. Boom, get those oils paid for! 😉 No pressure, you never know if it happens to you the way it happened to me. 5. Create your pin and password (this is the number you need if you need to call in or get live help online). Remember them!! 6. Accept the terms and click next. 7. DONE! Seriously, you have to a) write me an email to tell me you did it (lindsayteague@gmail.com, but b) keep me updated about how you are doing with them. I love to hear it. Seriously. I do. What do you think? Are you ready to do this? 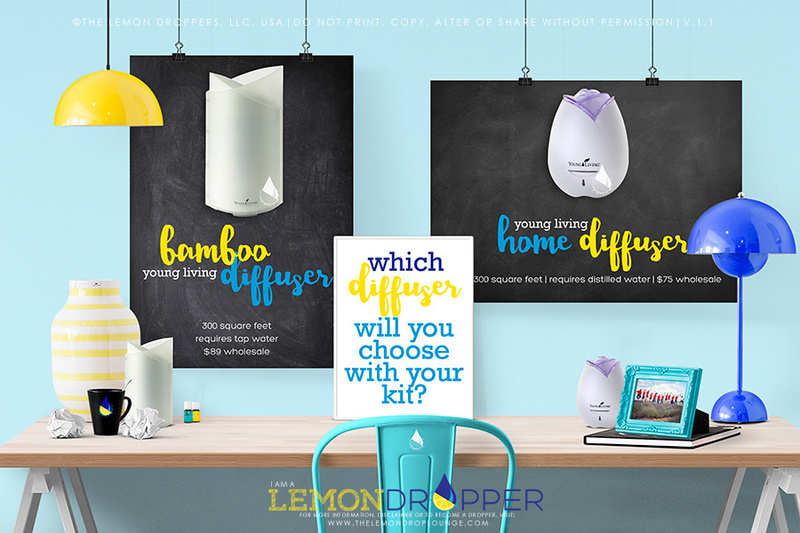 I have got an amazing team called the Lemon Droppers that have, like me, started using these oils and are loving them. Come join us!